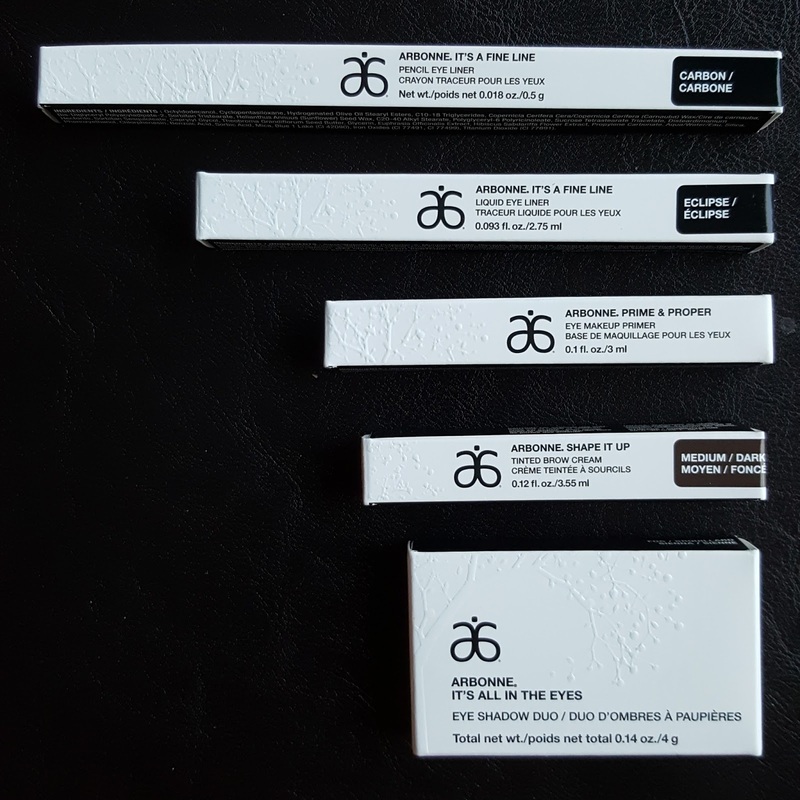 A few weeks ago, I was contacted to test out and review some of the new Spring 2016 launches from Arbonne. 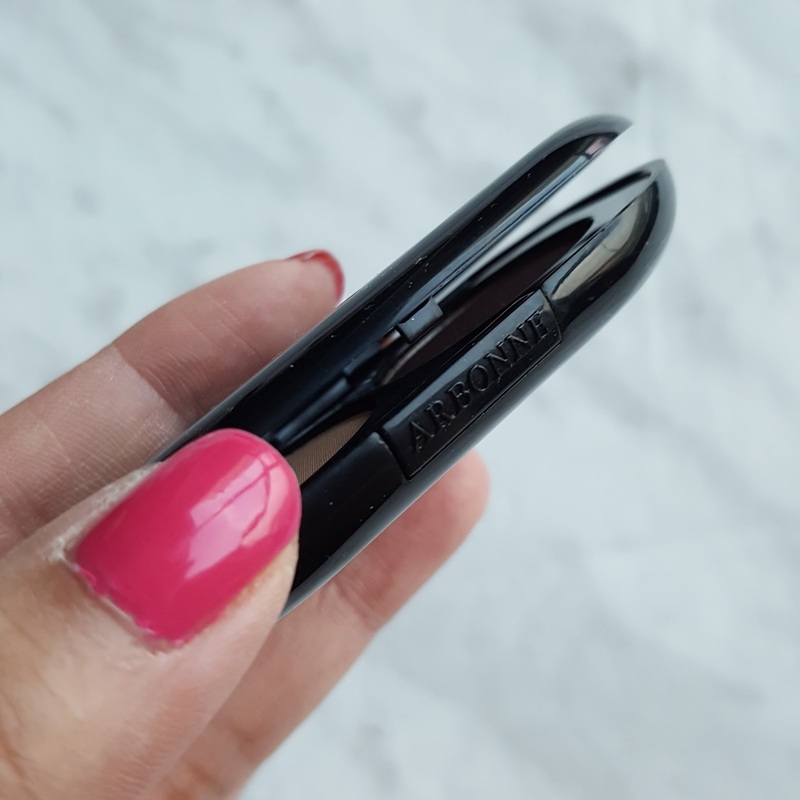 To be honest, I have only had one experience with them in the past, and I wasn't too much of a fan of the lip product I was sent to try - You can read my review here. 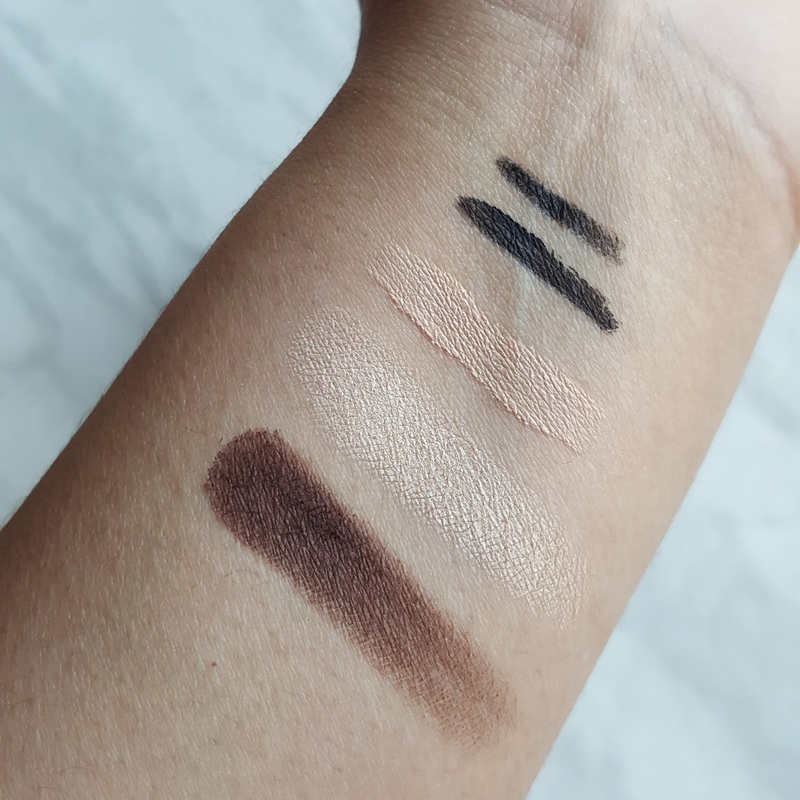 Their products are rather expensive for what you are getting, for example, the eyeshadow duo below is $50, that is rather high - $25 per shadow. It is very comparable to high-end luxury brand pricing, so for that price, I would expect it to behave and work the same. 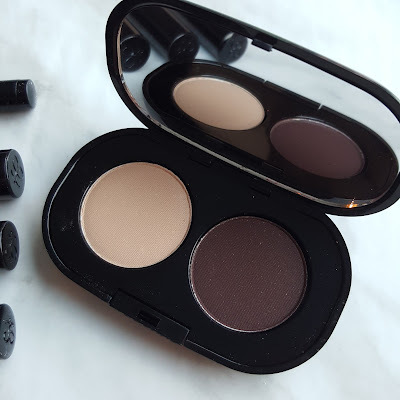 This eyeshadow duo features a satin finish (light beige) and a matte (dark brown) formula. 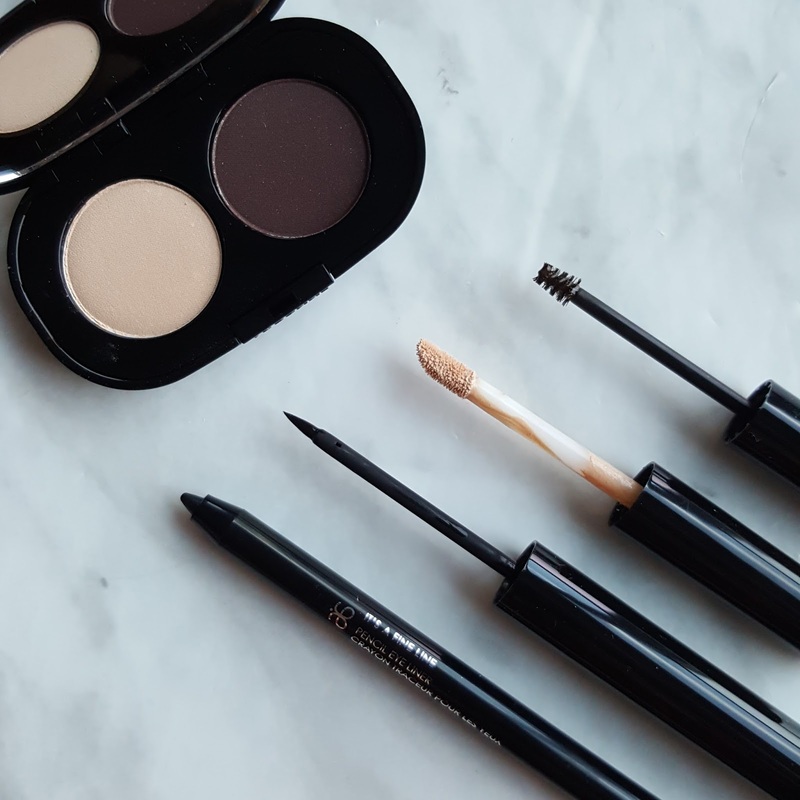 This duo is really pigmented and perfect for an everyday neutral eye look. 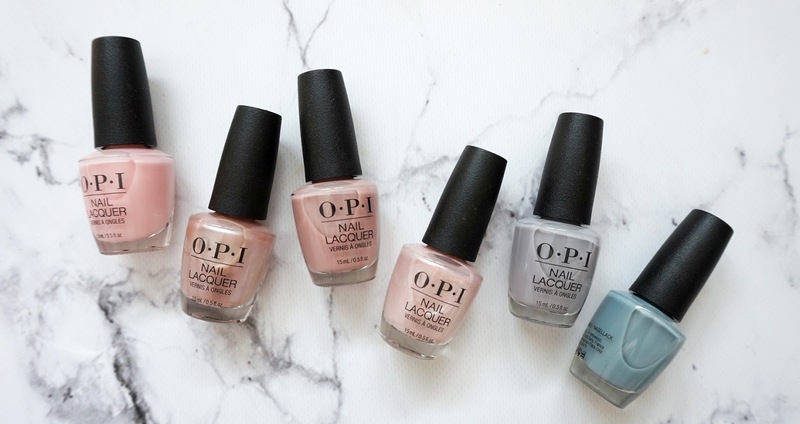 You can either sweep the beige all over the lid, and tight line with the dark brown, or fill the first half of the lid with the beige and the outer V with the dark brown for some dimension. Again, at $25/shadow I'm not sure it's worth it. The packaging of the product is a bit cheap, but I do really appreciate the big full sized mirror inside for convenience. 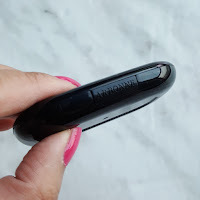 The one big issue I have with this is the outer packaging, because of its rounded oval shape, it very easily slips out of your hands/fingers when you are trying to open it (see below pictures). It's dark and pigmented, smooth but it is really expensive for a pencil eyeliner. My newest holy grail liner is the Make Up For Ever Aqua XL Liner that doesn't budge at all and that's only $25. Therefore, I would not purchase this. I would probably buy this product considering it is cheaper than the Nars eye primer ($33). I like the neutral tone to this that also acts as a neutralizer and corrector on my lids. It prevented creasing from my lids and allowed for better make-up application. This is $10 more than the price of the Benefit Tinted Gimme Brow and does not particularly work better or worse than Benefit. Therefore, I would not purchase this. 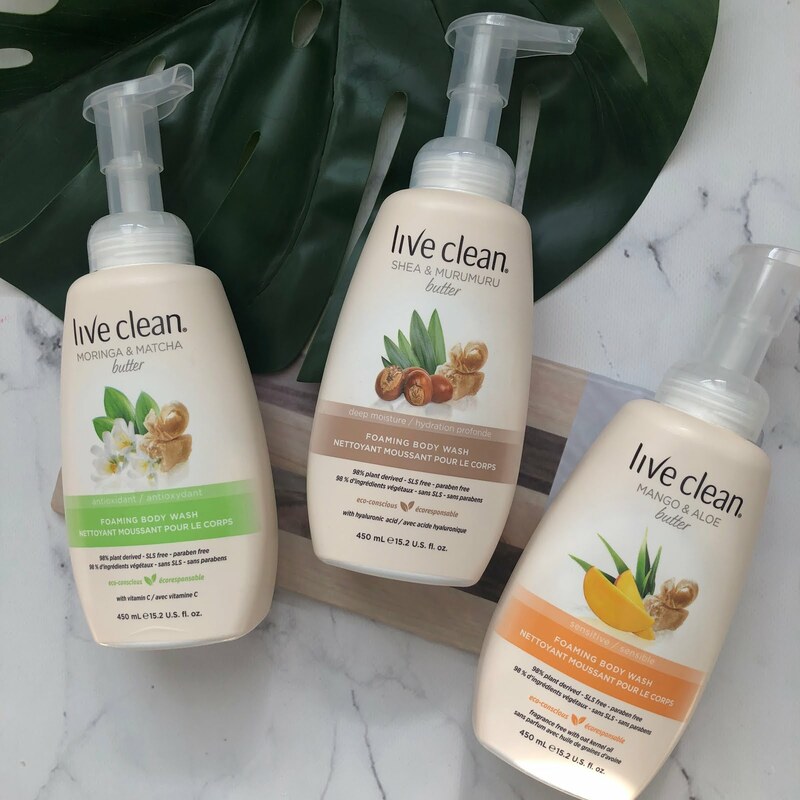 While I am always up for trying new make-up products and trying to see if I can find any holy grail products, sometimes it may not work out to my favor. In this case, it seems like the only product that I found out that I really liked is the eyeshadow primer and I suggest you to try it out if you are looking for a new one.